Japan's Ministry of Education certified Dr. Templin as one of a small number of professors (rare for an American) to teach courses required for students to become licensed junior high and high school English teachers. In coordination with other faculty, he revised Meio University's curriculum for these required courses and improved the university's practicum prerequisites: requiring students to achieve a certain grade point average in English and education classes and to pass a specific English proficiency test score. To help students meet the increased standards, he also developed an English study abroad program and self-access center for language learning. 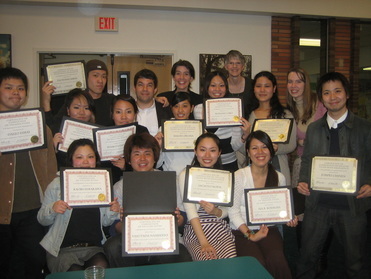 Dr. Templin created a program for Japanese students at Meio University to study English at George Fox University in the US for eight months. 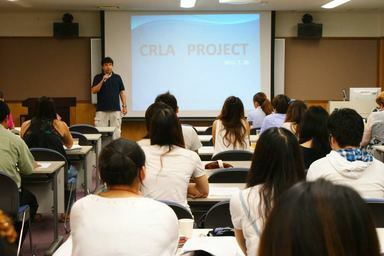 During the four years this program ran, about 70 students participated and gained critical English skills in preparation for earning licenses to teach English in Japan's junior high and high schools. To help students become more proficient in English and other foreign languages, Dr. Templin, with assistance from other faculty, created Meio University's Language Learning Center (LLC). Through a variety of media (video, software, audio, books, and etc.) and peer tutoring, Meio University students gained the opportunity to self-study English, Japanese as a foreign language, Spanish, Chinese, and many more languages. He also developed the peer tutoring program, which became the first outside of North America to be certified by America's College Reading and Learning Association (CRLA). The LLC has been visited and researched by professors from across Japan. During Dr. Templin's tenure, the LLC served nearly 40,000 students (many were repeat users) and certified about 100 tutors. Meio University appointed Dr. Templin as chair of its junior high and high school teacher licensing committee, which included diverse subjects such as Japanese, PE, and math. He met with chairs from other universities, junior high and high school principals, and government leaders to coordinate licensing for the state (prefecture). Dr. Templin published the textbooks Communicative Toolbox, Dream Quest, and Dream Quest Plus. 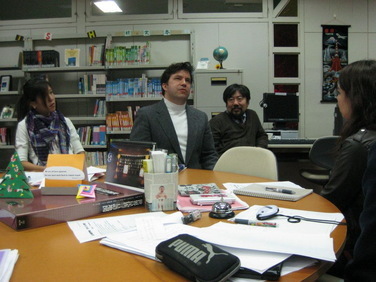 His articles have appeared in JALT Journal, The Language Teacher, TESL Reporter, and other academic periodicals. Some of his research can also be found on ERIC (Educational Resources Information Center), the largest online digital library of education research and information. 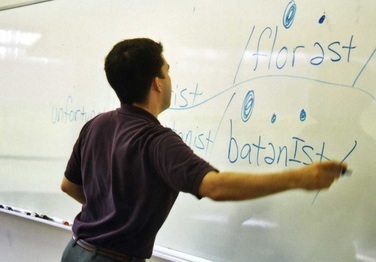 He earned his BA in Teaching English to Speakers of Other Languages (TESOL) from Brigham Young University-Hawaii. His MEd in secondary education (English) is from Temple University. He also graduated with a PhD in education (emphasis leadership in higher education and e-learning) from Trident University International. Dr. Templin lectured for 14 years as a tenured professor at Meio University and has presented research on self-efficacy theory, second language acquisition, and more at international conferences. He speaks Japanese fluently.